STACKABLE DESIGN: Contacts on the top and bottom surfaces of the watch winder make it stackable. FITS MOST WATCHES: Spring action pillow fits all watch bracelet and strap sizes. HIGH PRECISION WINDING: An electronic controller counts every turn of your watch. 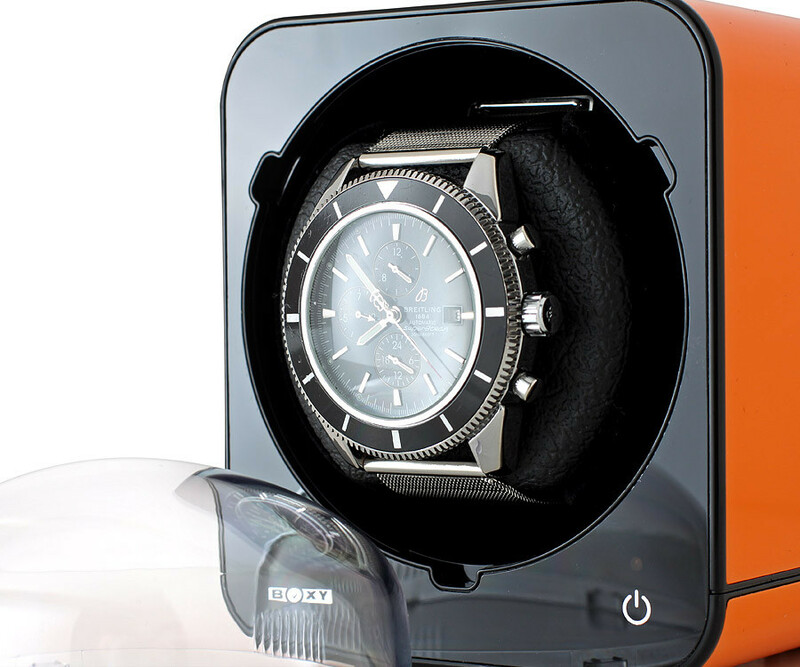 An automatic watch winder for a single watch. Maximum watch diameter: 2.2 inches. A Touch Screen Power Sensor controls the power. To turn on the winder touch the power symbol until the LED light on. Touch the power symbol again until the LED goes out to turn off the winder. Next, select the () rotation direction of the watch. These are 3 directions available: Clockwise winding, counter-clockwise winding, or bi-directional winding. When bi-directional mode is selected, the rotation direction of the first turn is random..
Abest BOXY was established in Taiwan in 2000 and specialized in the manufacturing of watch winders since September 2001. BOXY’s products have successfully filled its market niche due to the affordable price for devices with low level of power consumption, attractive elegant design and operational reliability. BRICK WINDER SYSTEM is a unique system intended to wind and store automatic watches. Brick means construction material. And this is exactly how the system works: you can build your winding system brick by brick by adding new blocks powering each other. Fancy Brick Winder System is an advanced equivalent of Brick Winder System. It has been complemented by a vivid external design and a range of colors, ON/OFF touch-sensitive button, 45 winding modes and increased height of external lid. Castle product line: A lid that slowly moves down imitates the movement of a draw bridge of medieval castle, which highlights the greatness of this building. White LED-lighting allows to see your watch in the dark. Castle winders are produced in two different colors and three modifications: to wind up one, two or four watches. BOXY winders are produced in Taiwan using MABUCHI Japanese motors, so that they work almost silently. BOXY devices are equipped with electronic system which controls the number of turns. 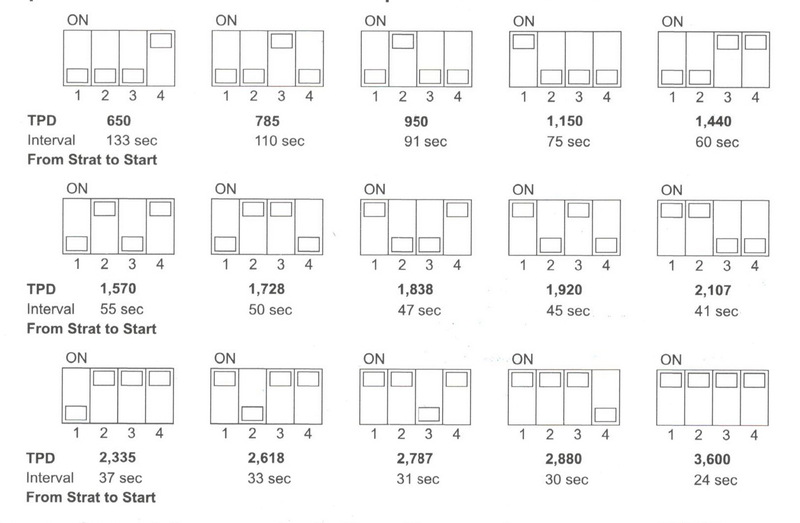 Motor counts down an actual number of turns and always returns to the same initial position. Even heavy watch with increased rotation time due to their weight will be wound up correctly. 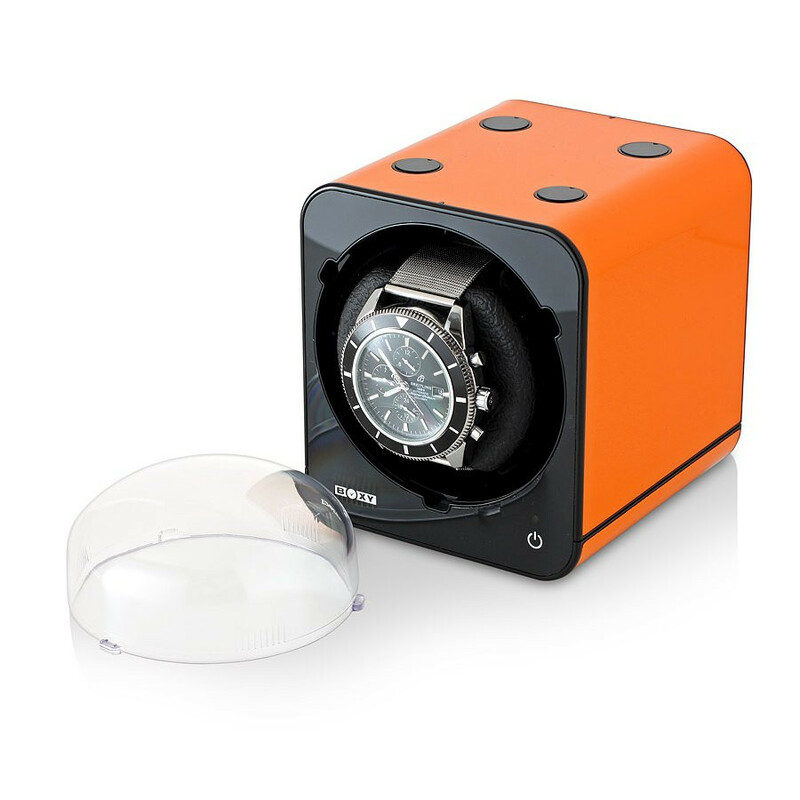 Watch Winder Store is an authorized distributor of BOXY products in the USA.